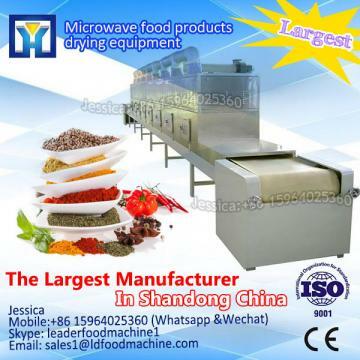 microwave drying, sterilization equipment: drying, sterilization, seaweed, seaweed, shrimp, seaweed, and other seafood. Features: Energy efficient, simple operation, stable performance! Sterilization preservation mold: microwave heating with thermal effects and biological effects, therefore, at a lower temperature to destroy the mold and sterilization; Practice has proved that vitamin activity and food can save materials, color and nutrients, the device puffing effect, fast drying, easy to operate equipment and high degree of automation advantages. In addition, the bactericidal effect of the device is abnormal excellent (has been the validation of foodrelated sector), therefore, can fully satisfy the deepprocessing requirements of the seafood. Applies to dried seafood spices (kelp, seaweed, fish, shrimp). Because the water molecules in the microwave absorbing the best part of high water content, absorb more microwave power than the water content of the lower part. This is the selective heating, the use of this feature can be uniform heating and uniform drying; dehydration direction of water vapor from inside to outside. 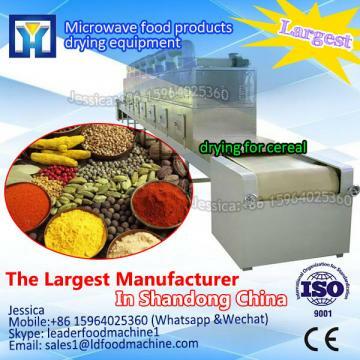 Therefore, microwave drying has puffed role, and subsequent crushing of great help; energy efficient. 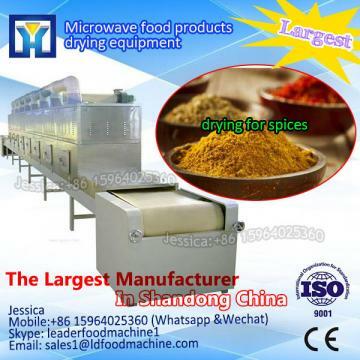 Microwave is a direct role in the material, thus no additional heat losses, furnace air and the container does not heat, so the high thermal efficiency, the production environment is also significanLDy improved compared with the far-infrared heating can save 30% . 6 easy to control, advanced technology. Compared with the conventional methods, equipment, namely, that the use; no thermal inertia, operational flexibility; microwave power adjustable. Microwave heating, drying, no wastewater, no emissions, is a safe and harmless hightech. Improve product quality, economic benefits! 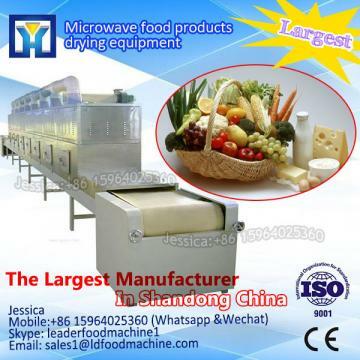 If you interesting in Tunnel convery type abalone drying and sterilizing microwave machine ?kindly ask me, Shandong industrial microwave oven can give technical support and service.